After a decade of working in the industry, the original Edna's Auto Body Inc. was established in East Boston, MA in 2013. Since then, our customer base has vastly expanded as our clients were consistently satisfied with the work done at Edna's. 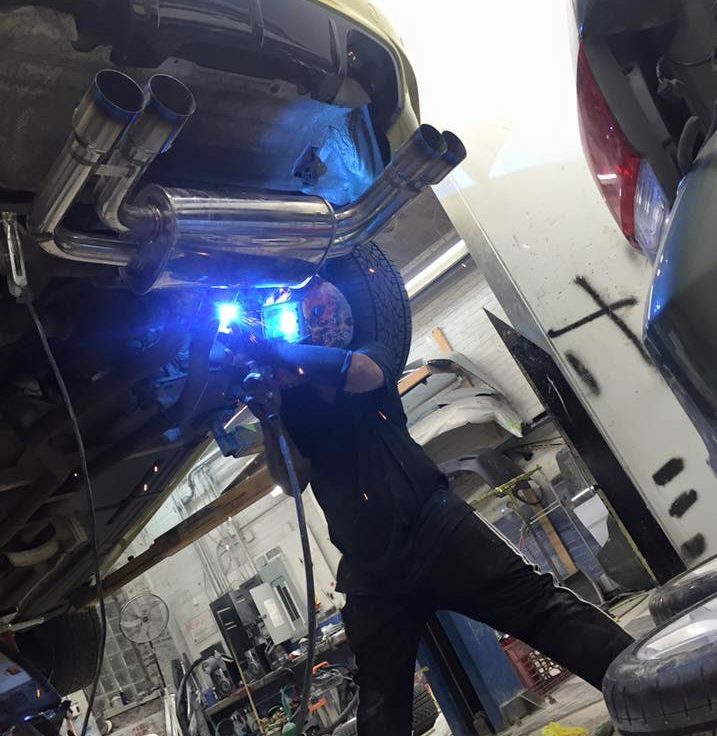 This family owned shop was stirring up a lot of commotion, as the client demand for automotive services from Edna's Auto Body Inc. continued to grow. To adequately handle this demand, we decided to expand our small family business. In the Spring of 2015, Edna's Auto Body of Lynn, Inc. was established. Counting on almost triple the amount of space, a second spray booth and brand new paint system, Edna's has evolved to be your One Stop Shop for your automotive needs and wants. We are located on Western Ave (Route 107) in Lynn, MA (right next door to Kemperle). Drive in today for a FREE quote and let us know how Edna's can satisfy you automotive needs! We aim to continuously exceed the expectations of our client and to deliver quality collision repair & custom paint services to the Massachusetts Area. Since a very young age, I've always striven to provide the best of me in all aspects of my life. With my positive attitude and success driven personality, I have always performed at optimal levels and exceeded even the highest of standards and expectations. After graduation from the University of Massachusetts Amherst with two Bachelor of Science Degrees and a Certificate in Latin-American Studies, I realized my opportunities were only beginning to flourish. I've always had an entrepreneur mindset, and working with people came naturally. After a year of teaching in my hometown, my older brother (Owner of the original Edna's Auto Body) expressed the dire need for trademark expansion. I took this opportunity to bind my passion for nice cars and experience in the business field to create what is now Edna's Auto Body of Lynn, Inc.